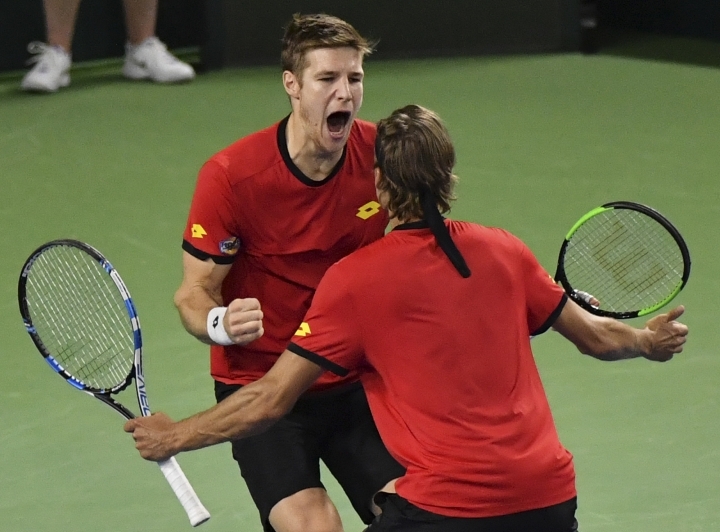 CHARLEROI, Belgium — Italy staved off losing to Belgium in the Davis Cup quarterfinals by winning the doubles on Saturday. In the third set of the increasingly tense doubles, Bolelli amd Seppi needed seven set points to win it, and overcome a Belgian video challenge. Another solitary break decided the fourth for the Belgians, playing only for the third time. In the fifth set, Italy broke first and led 5-2, Belgium broke back in the ninth, the Belgians had match point in the tiebreaker, but Italy won the last three points.